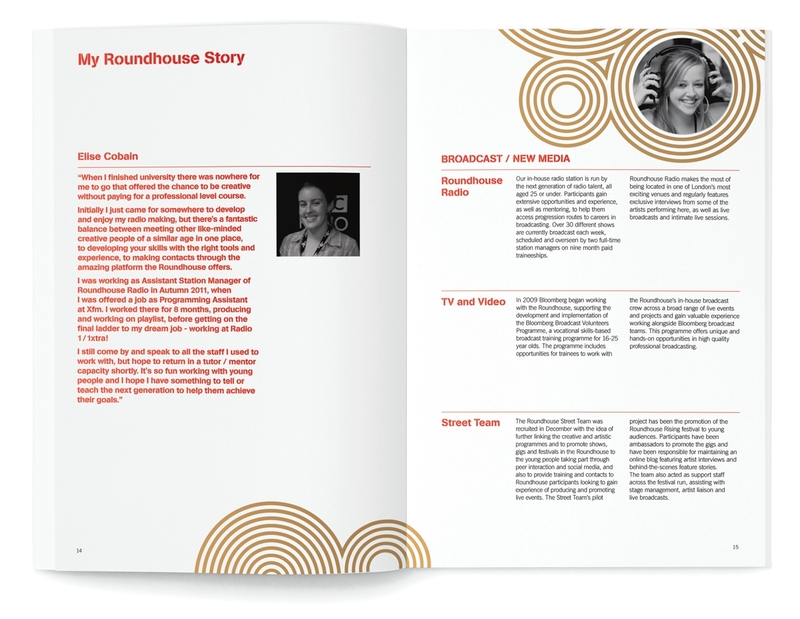 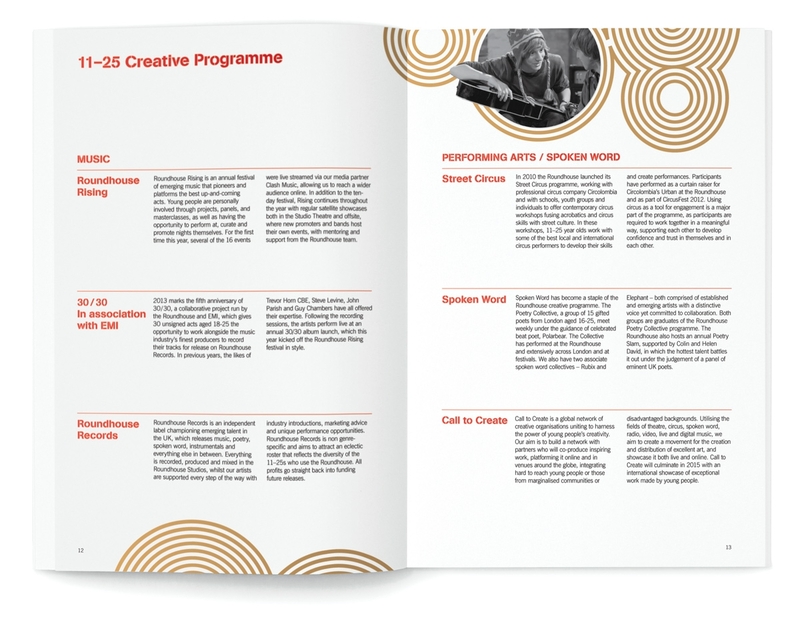 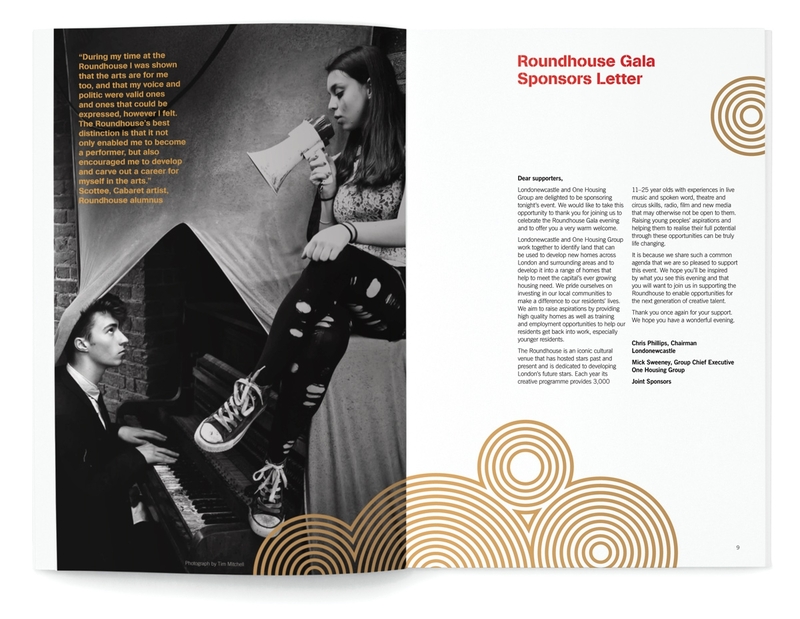 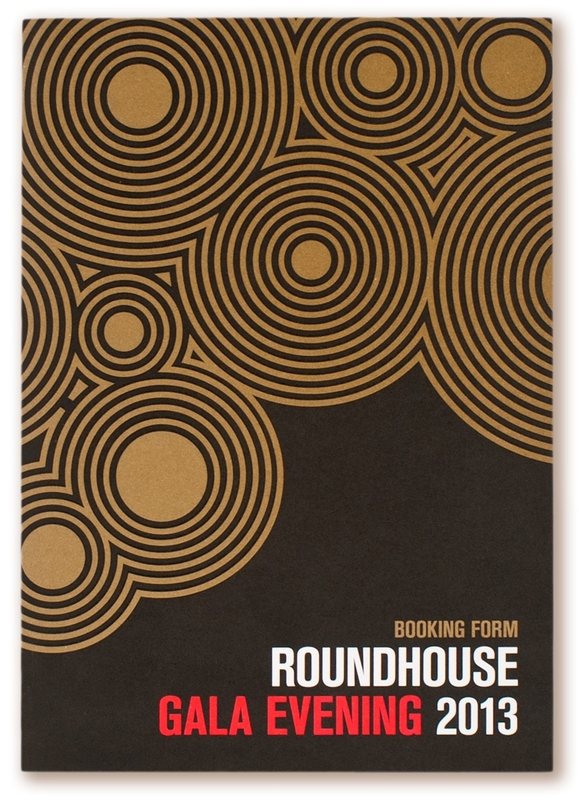 Every year London’s premier performance arts venue the Roundhouse stages an elaborate gala night to raise funds for programmes for emerging young talent. 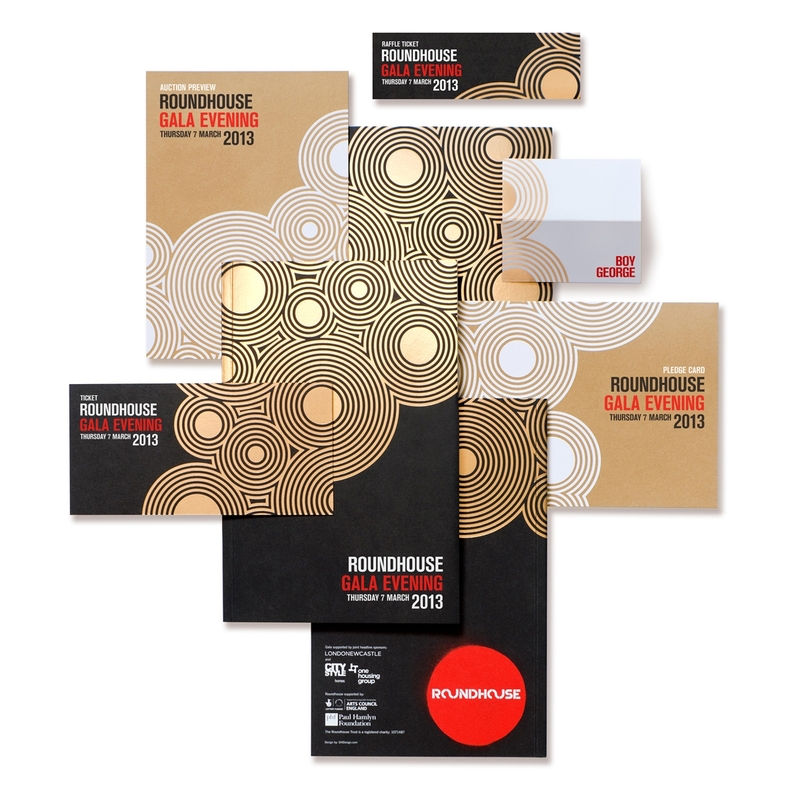 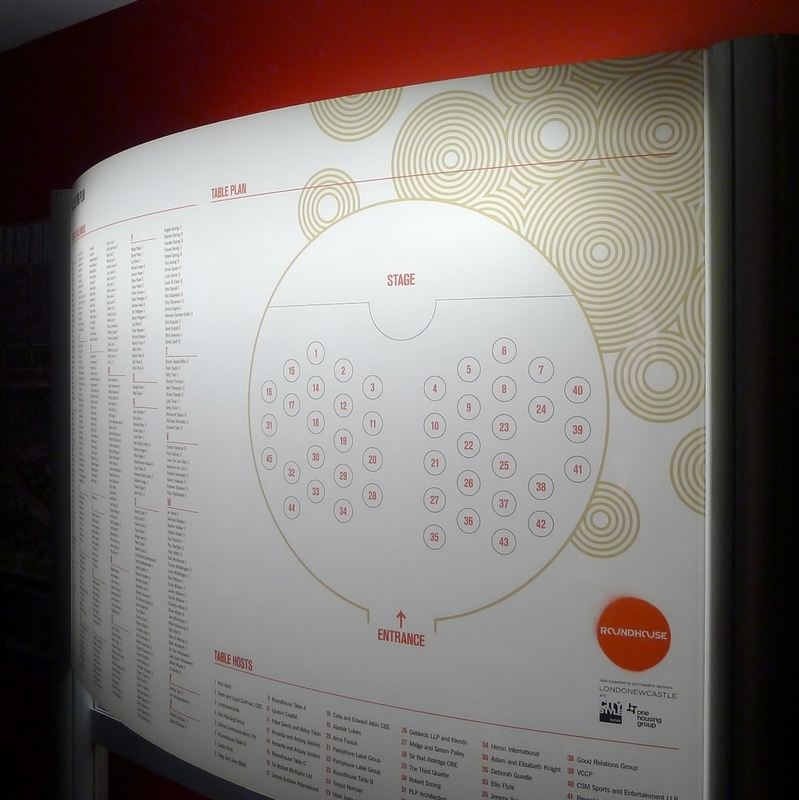 We had the chance to contribute to the event by designing the range of printed collateral for the gala, from the tickets to the environmental graphics at the venue. 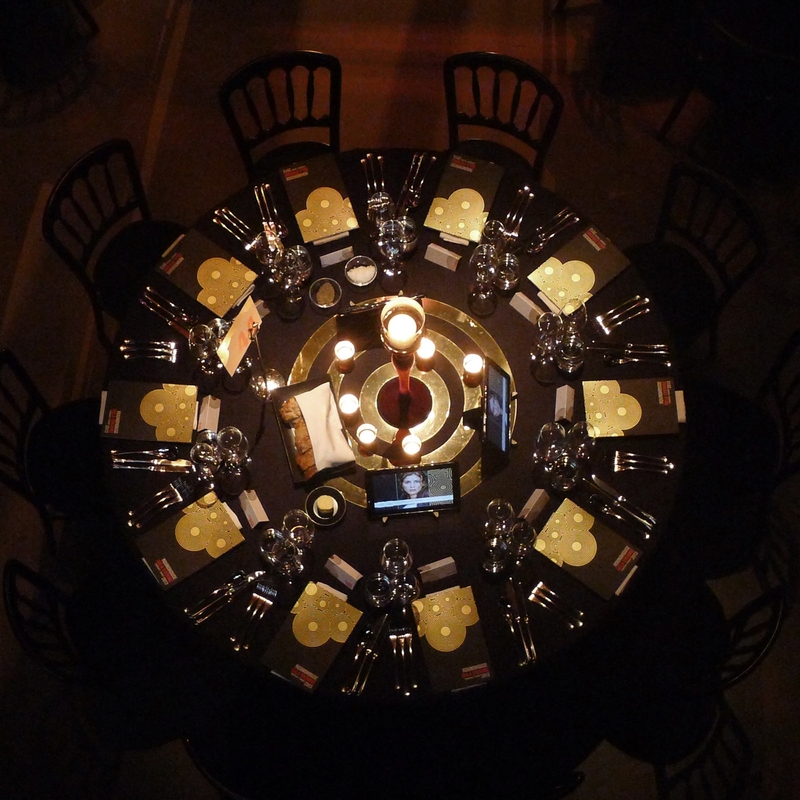 A modular geometric pattern is derived from the refractions of stage spotlights. 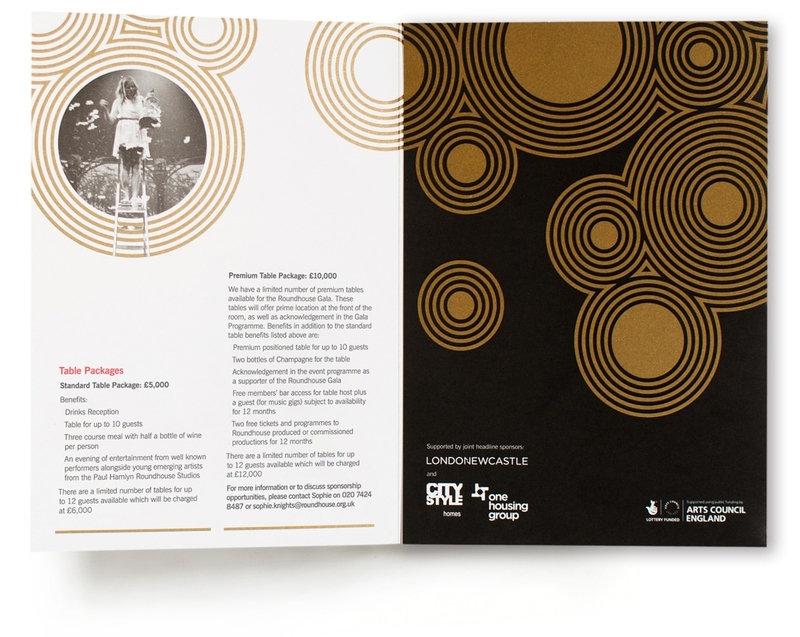 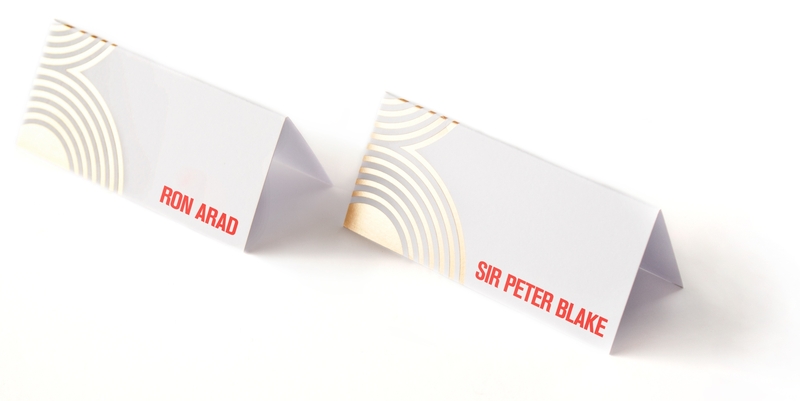 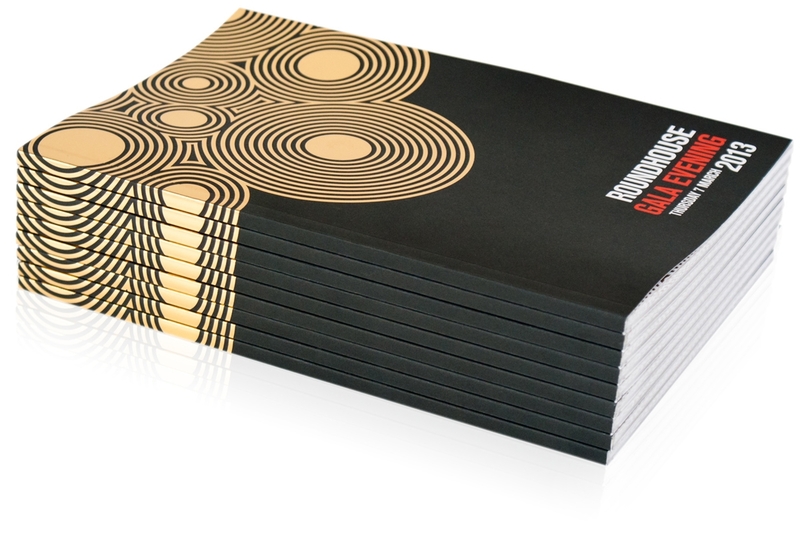 Embossed in gold foil or printed with specialty inks, the graphic elements of the identity reflect the celebrity cast performing at the gala, as well as the charity’s own involvement with performance arts. 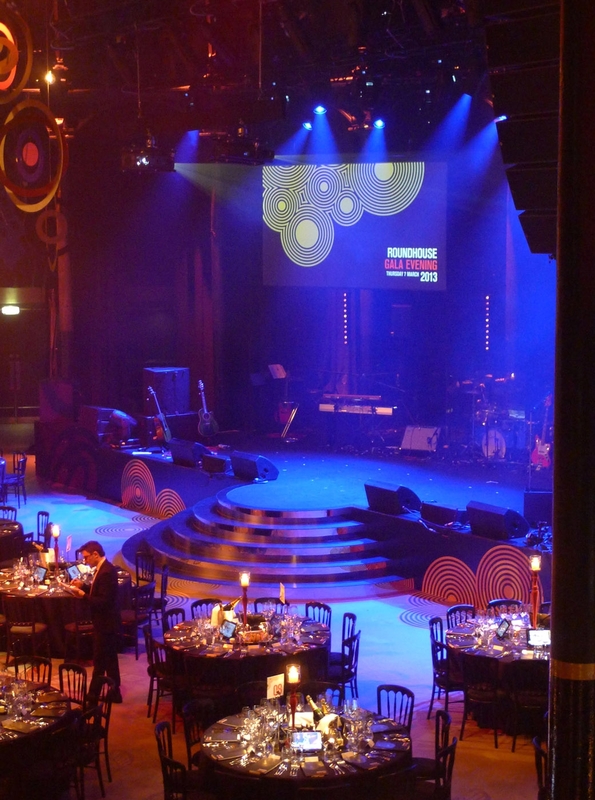 The gala was a huge success and helped raise over £500,000.